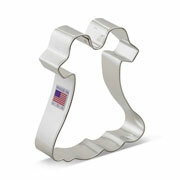 Say "yes" to the Wedding Dress Cookie Cutter! Whether you're a bride-to-be, a fan of Cinderella, or just want to be fancy, use this cookie cutter for some special cookies or for crafting purposes. 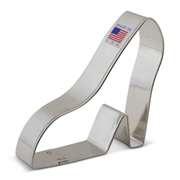 Absolutely adore the wedding dress cookie cutter . I love this cutter. Perfectly shaped and versatile. I really like this new dress design. Nice big cutter that gives enough place for nice details. Beautiful design, perfect addition for a bridal shower or wedding set, and for Prom too! Love it. These cutters are the best! Wedding dress cutter is cute design ...large size but very nice design. Cutters cut well! 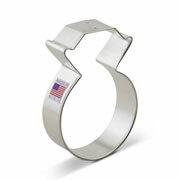 Purchased gown, large and small mason jars and Tennessee cookie cutters; was very pleased. Will use Ann Clark again.